Here is Ray soundchecking with a solo version of the title track from the forthcoming album. fantastic site you have here! I know that Ray Wilson’s new album is out but I was expecting some bits of musics in his site like he used to do with the other albums. Although youtube is a big help in finding some new tracks. For what I heard it’s definetely a must-buy! The album will be shipping from the Online Store as I type. 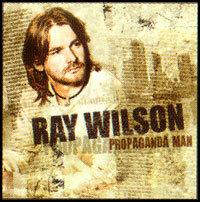 Ray is on tour in Germany when he finishes touring I am sure that some tracks will be added for streaming. Don’t wait that long get your order in to the website you WON’T be disappointed! !